DreamWorks « Midlife Crisis Crossover! It’s post-Oscar season movie time! That inevitable season when the major studios helpfully fill up theaters with numerous counterprogramming choices, by which I mean flicks that will never, ever win quality-based awards but might just make a buck or two off those moviegoers who couldn’t care less about the overwrought film-award pomposity. Usually when you see an animated release on the post-Christmas slate, it’s one that was made overseas for twenty bucks that would’ve gone to straight-to-video if the studio weren’t desperate for some first-quarter earnings on their P&L sheets. So I was surprised to see Kung Fu Panda 3 dumped into a wintertime slot. I barely remember anything about the second one except an impressive ship crash and Gary Oldman’s lame evil peacock, but the original was an eye-popping martial-arts spectacular that proved to be one of Jack Black’s best-ever vehicles and one of my top five Dreamworks Animation films to date. I was hoping the third would be more like the first. 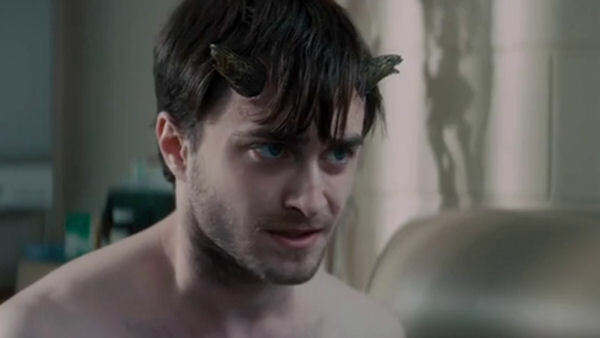 Harry was pretty sure he’d gone terribly wrong somewhere on his Defense Against the Dark Arts homework. Once again January is National List Month, that left-brained time of year when everyone’s last twelve months of existence must be removed from their mental filing cabinets, reexamined, and refiled in specific pecking order from Greatest to Most Grating. Here on Midlife Crisis Crossover, we enjoy our annual tradition of spending at least two posts looking back at our year in movies, trying to remember what we thought about them at the time and ultimately deciding which films can beat up which other films. When I reach that realization that my opinions sometimes change over time upon further reflection or second viewings, that’s when the process turns messy and I end up hating my own list. But internet bylaws insist it must be done. And I like lists more than I like internet bylaws. The final tabulations reveal I saw 19 films in theaters in 2014 (tying with 2007 and 2010 as worst moviegoing years ever) and four via On Demand while they were still in limited release. This count doesn’t include seven 2013 films I attended in 2014 for Oscar-chasing purposes, or any films I watched on home video long after their theatrical run. As one sad example, this harsh rule of mine disqualifies Boyhood from the list since I just watched it via Redbox rental two nights ago. If I’d gotten out of the house for a three-hour theater visit just one more time last summer, it would’ve made my Top 3. Consider this paragraph my version of a Very Honorable Mention. Right this way for the weakest of the herd! 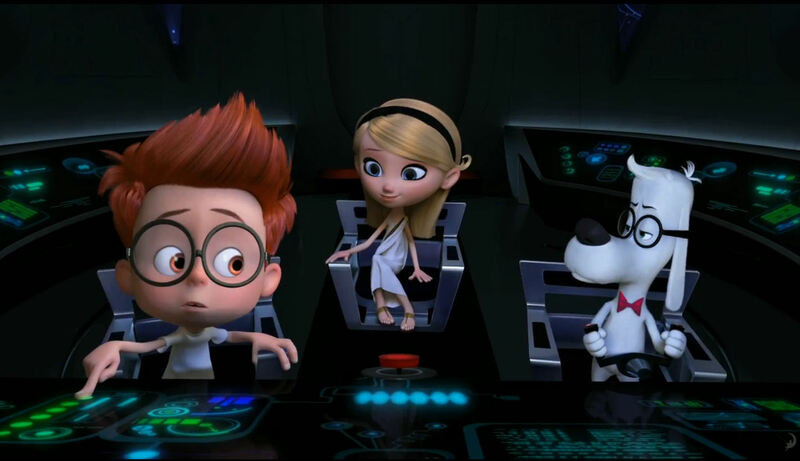 Midlife Crisis Crossover calls Mr. Peabody & Sherman the greatest adaptation of a Jay Ward Productions cartoon in cinematic history! Seriously, consider the competition: 2000’s live-action The Adventures of Rocky & Bullwinkle, which had precisely one (1) funny joke that I recall with traumatized clarity to this day; Brendan Fraser as Disney’s George of the Jungle, which was a merchandising showcase disguised as kiddie slapstick farce; and Brendan Fraser again in Dudley Do-Right, which had no reason to live. Thankfully Hollywood came to its senses and refrained from giving us Brendan Fraser as Tom Slick, Aesop’s annoying son, and Super-Chicken’s sidekick Fred. DreamWorks neatly sidestepped any more Fraser pain by taking the CG-animation route and barring him from participation. In another risky deviation from the formula of the other three films, director Rob Minkoff (The Lion King, Stuart Little) and his crew also chose to make their film funny. I applaud this bold, non-conformist stratagem. 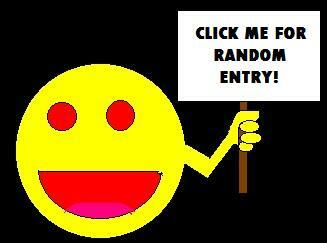 This way for another Wayback adventure! Midlife Crisis Crossover calls Turbo the Best Indianapolis Tourism Ad of the Year! That was my first impression, anyway. It’s rare that Hollywood sets a big-budget motion picture in my hometown. The last film to use us, Eagle Eye for a single action scene, couldn’t be bothered to research our geography on Google Maps and pretended that 72 West 56th Street is a crowded financial district like downtown Boston. Local pro tip for future filmmakers: 72 West 56th puts you in a highly tree-filled residential area between the wooded Butler University campus and the trendy bars of Broad Ripple.